This article is included here because there is much confusion and stigma surrounding leprosy as we know it today. Some of this stigma arises because people identify modern leprosy with the descriptions appearing in the Levitical law in the Old Testament section of the Holy Bible. Thus in some people’s mind, there is a strong link between modern leprosy, the ritual uncleanness described in the bible as leprosy, and the idea of a curse from God. This link has been reinforced by modern portrayals of leprosy in bible times, such as the film Ben Hur. The stigma that has arisen from this link causes much hurt and suffering to many people affected by leprosy today. Interestingly, a key problem in the Hindu culture within which we operate is very similar to the biblical leprosy issue discussed here, in that most of our patients believe they have leprosy because of some fault of their own – ie they deserve it. This is at the root of most of the stigma our patients face and much of NLT’s work is to re-educate the communities in our area about the causes and management of leprosy. Without a change of mind in the community, people are afraid to come for help and will delay until much irreversible damage is done, leading to many tragic and unnecessary outcomes. Fortunately, NLT has been very successful in its work in stigma reduction and people living in communities where we have been working now come for treatment much more willingly and are supported by their communities more positively. We still have many communities to reach and change and our progress is limited by the funds we can find, but at least there is significant progress. To continue with the Biblical Leprosy discussion, the following information is taken from a booklet written by Dr R.G. Cochrane M.D., F.R.C.P., published for the Christian Medical Fellowship, and an article by Dr Jeanie Cochrane Oldman. Both the publications seek to dispel the idea that the leprosy of the bible is the disease that we know as leprosy today. The condition described as leprosy in the Old Testament section of the Bible is NOT the same as modern leprosy or Hansen’s Disease, as it is often called. The Hebrew word sara’at is a ritualistic term denoting uncleanness or defilement and covered a range of conditions that could affect people, or clothing, or even a wall. The conditions described could include boils, carbuncles, fungus infections, infections complicating a burn, impetigo, favus of the scalp, scabies, patchy eczema, phagedenic ulcer, and impetigo or vitiligo on people. On walls or clothes it was more likely to be fungus, mould, dry rot, lichen or similar conditions. There is no evidence that the diseases described as “leprosy” in the Old Testament had any relationship to modern leprosy. Archeological and written records strongly suggest that although the equivalent of modern leprosy had appeared in China very early, it did not appear in the lands of the Bible and Europe until well after Moses’ time, about three centuries before Christ. Some have connected this appearance with the campaigns of Alexander the Great whose armies travelled widely and may have carried the disease with them. This in turn supports the fact that it is not leprosy described in the Old Testament, but a range of other diseases that were no doubt feared, and for the management of which the relevant Levitical laws were established. Although, as mentioned above, modern leprosy had appeared in Israel by the time Christ was living there, we do not know whether the “ten lepers” that were healed by Him had modern leprosy or not. After the four Gospels at the beginning of the New Testament, there is no further mention of leprosy in the Bible. In New Testament times in Israel, modern leprosy was known as “elephas” or “elephantiasis” (not to be confused with the filarial disease now called elephantiasis). The word “leprosy” only came about in AD383 when Jerome translated the Hebrew word “sara’at and the Greek word “Lepra” into the Latin word “Leprosy” while translating the whole Bible into Latin to produce the Vulgate version. From there, the word “leprosy” became commonly accepted in the languages of Western Europe as the translation for the sara’at of the Old Testament. Therefore the link between the word “leprosy” and the “ritual uncleanness” described in the Old Testament was only established after AD383. For “leprosy” in the Old and New Testaments, read “defilement”, or “ceremonial defilement”. 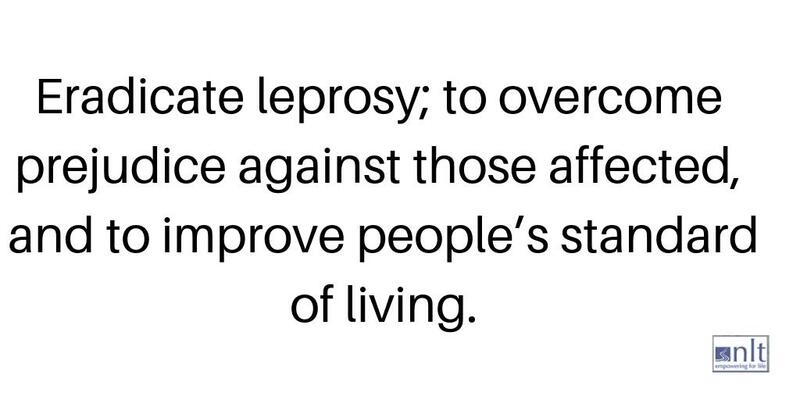 Do not use the term “leper” to describe a person suffering from the modern disease of leprosy. The accepted term is a “person affected by leprosy”. Do not use leprosy as a type or picture of sin. We should not say that all disease is a punishment from God. Christ did not do so, and this would be a misinterpretation of suffering. Remember that Biblical leprosy is NOT modern leprosy / Hansen’s disease. The word “leprosy” should probably have been translated differently by Jerome when producing the Vulgate version of the Bible.